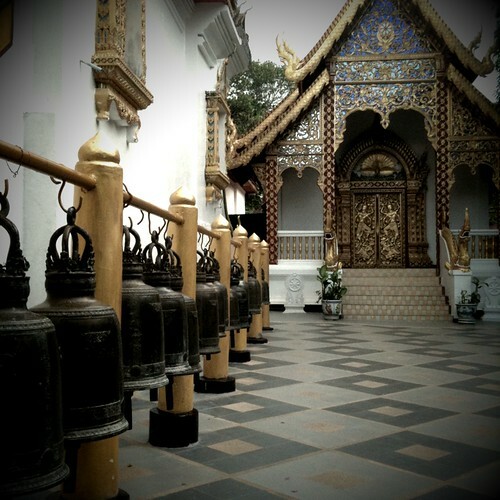 Three Views at Wat Phra That Doi Suthep, originally uploaded by Hillary Hewins. 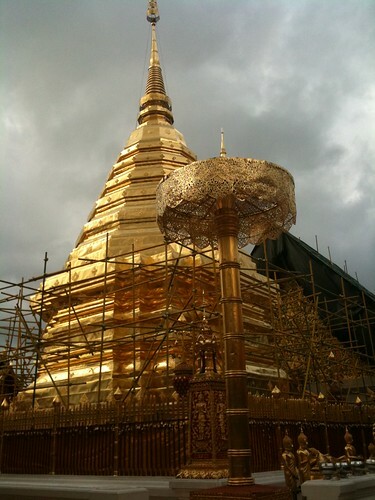 We watched the sunset at this wat overlooking the city of Chiang Mai. A small rain shower created the most stunning rainbow we’ve ever seen. 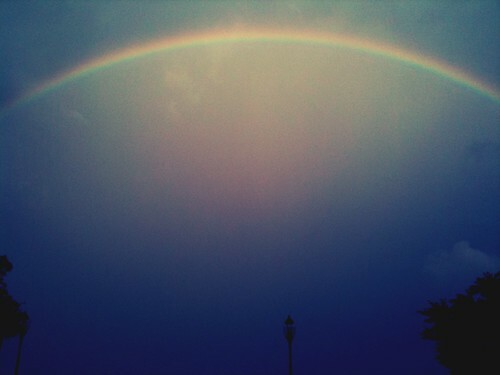 It was huge and bright an became a double rainbow at one point. Amazing.